Considering this a warning: I'm going to be featuring quite a few 3DS games in posts like this one in the coming weeks and months. That's not to say I'm only going to write about 3DS "acquisitions" between now and the end of the year, mind you, but I am going to write about a good number of them in that timespan. With that said, let's focus on this one. It is, after all, a game I've been looking forward to play for some time. 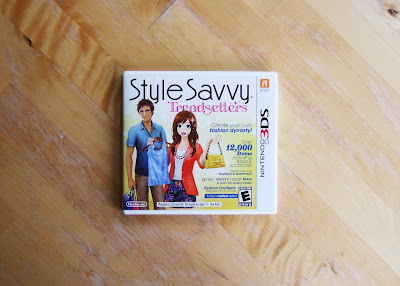 So, was Style Savvy: Trendsetters worth the wait? Very much so. Granted, I've only played it for about six hours so far, but I've enjoyed those six hours a lot more than I imagined I would before I obtained this syn Sophia-made title. As for why that is: Well, I really like its "throw together an appropriate outfit for each customer" gameplay, for starters. There's also a rather meaty store-management aspect to Style Savvy: Trendsetters, though, that adds another dimension to the proceedings. Wrap all of that in an attractive-enough art style and you've got yourself a portable title that offers players an enjoyably unique gaming experience--or at least that's what it's offered me so far. I know that's a pretty general description for a game that's about more than simply playing dress-up, but that's all I can offer at the moment due to having played it for only a few hours. I'll continue working my way through it, though, and I'll do my best to share some more in-depth impressions (as well as a full-on review) sooner rather than later. Even if I loooove customize my game-characters in games like "Sims 3" or all MMORPGs, and even if I'm a girl I don't like such dress-up-games at all. I can't put my finger on it but something always disturbs me at this games. :/ But I'm glad you're enjoying it. So the money was well spent. No worries! This is the first game of this type that I've ever played, so I can't really comment on the genre as a whole. All I know is that I really like what I've played of this one so far -- although I can tell that it'll quickly become one of those titles that I pick up and play for a few minutes every now and then (as opposed to playing it for hours on end, day after day). Huh? Now my post exists twice. I have this and the original DS game, both are great. I also played Pop Cutie and so far these are the only games of the fashion store-sim genre worth getting. heh goodness! Sims is still my secret passion so I know the felling. I played the demo of this from the eShop, and the only thing I didn't instantly love about it was that in order to shop you had to connect online and it had to reload each "shop" you went into...seemed clunky and bad. What if you're out and about? Kinda makes it impossible to shop online, if that's the case. Is that in the full game or is that something they smashed together for the demo only? Hey there, Justin! Although I downloaded both demos, I never played them. As such, I don't completely know what you're talking about. That's a good thing, though, as it means I've never experienced anything like that while playing the full/real game. In the game, going from your apartment to the shop -- or the make-up store, or hair salon, or coffee shop, or downtown -- all happens pretty instantaneously. You do have to put up with a bit of loading when you first start the game, but that's it as far as my experience goes! .... I'm unbelievable surprised! and yeah Cant wait for the new AC, A few people I know studying in japan have it and wont stop rubbing it in. Thanks! Is this worth $40 or should I wait? Or get Harvest Moon: New Beginning. Hmmm, that's kind of a difficult question, raw. How much does the premise of this game interest you? Also, did you play the DS version? Oh, and how excited are you about the new Harvest Moon? Do you know you'd play it a ton if you got it, or are you a bit ambivalent about it? 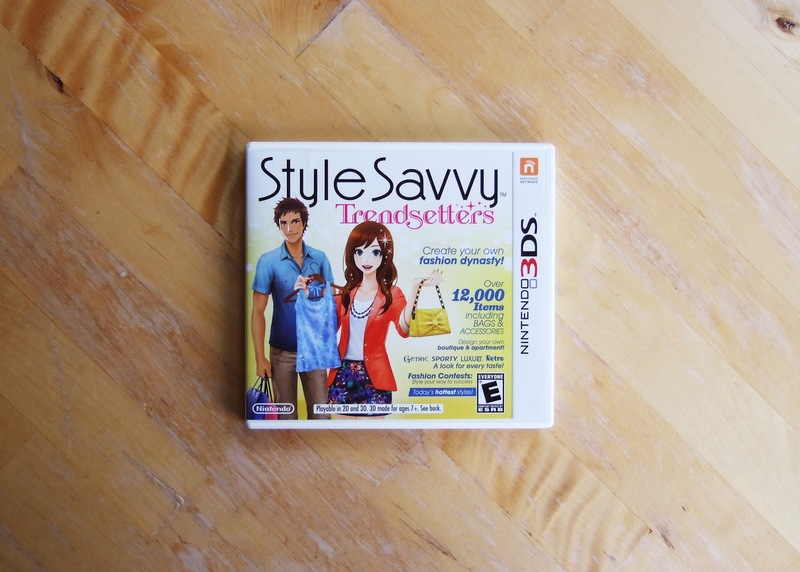 I'd say go for Style Savvy at $40 if you're *really* interested in playing it and you're not sure you'll play the new Harvest Moon a ton.